After a long day of training with pretentiously good wizards who lecture endlessly about not allowing your magic to corrupt your soul to evil, you may sometimes feel like “Enough already!” and just want to cut loose with something a little bit naughty. The Dark Lord cocktail was designed just for that. The Dark Lord is a purple-black cocktail that’s nicely fruity – which makes it very much like your typical dark lord, I suppose. There’s something ironic about how deliciously fruity this supposedly evil cocktail is, so I like to frou-frou it up as much as possible. Serve it in my girliest martini glass and garnish it with speared blackberries. Nothing tough or threatening about this drink. 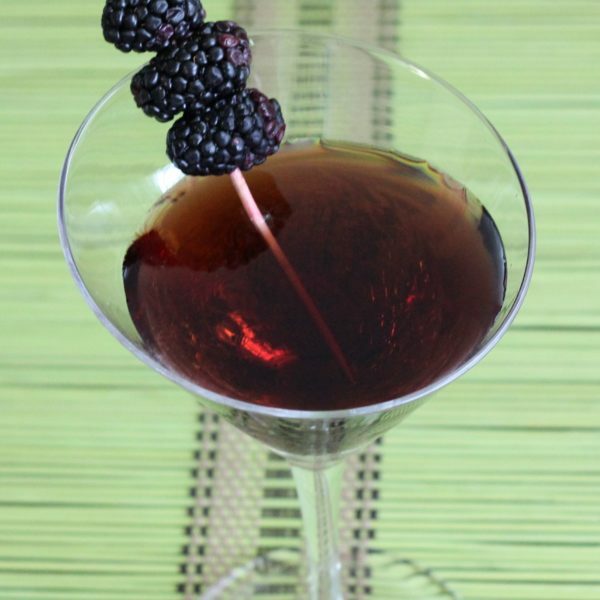 It’s an indulgent drink that starts out with the sweetness of blackberry and finishes with the tartness of cranberry. You might expect it to pack quite a punch, as many dark lords do. But since villains need to keep their wits about them, it’s only a tiny bit stronger than a standard drink. Shake all the ingredients together in a cocktail shaker with ice. Strain the mixture into a chilled cocktail glass.